More than 40 years after punk happened, the phenomenon is still being fêted as a musical, street-fashion and social spectacle with a steady stream of books and exhibitions. 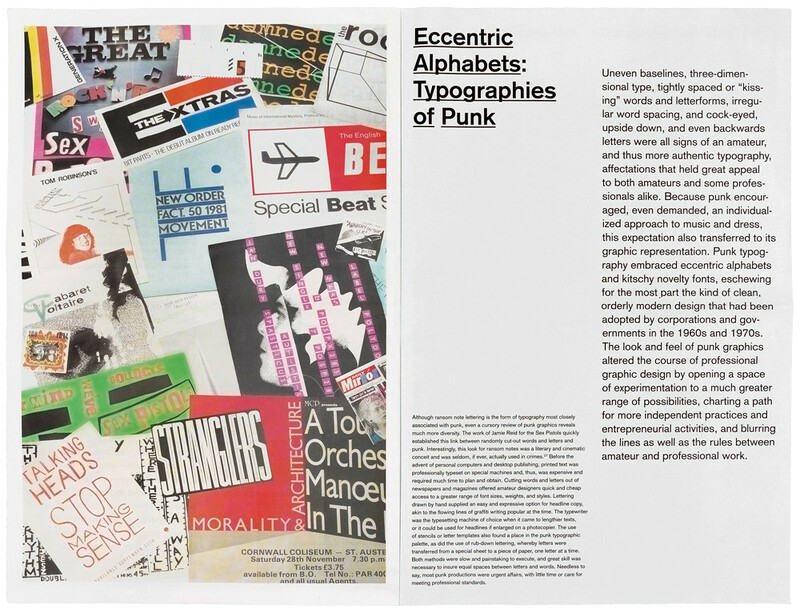 As commentators have often pointed out, punk’s semiotic and behavioural provocations have elements of similarity with Dada, and punk and post-punk have assumed a place in twentieth-century cultural history of comparable dimensions. As a pop culture earthquake rapidly disseminated by modern media, punk was, if anything, much broader in its immediate impact, galvanising young people with rebellious sounds and styles in small towns and suburbs, as well as big cities, in a way that metropolitan Dada never achieved in its day (see Eye 33). 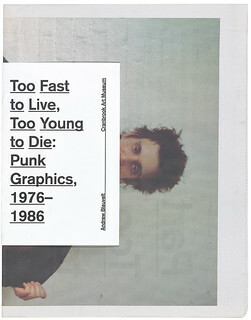 Cover of the exhibition catalogue ‘Too Fast to Live, Too Young to Die: Punk Graphics, 1976-1986’ by Andrew Blauvelt. 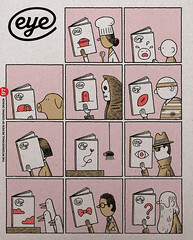 Top: Spread from ‘Too Young to Live’, part 2a of the catalogue, showing a collage of specimens by Blauvelt and Bianca Ibarlucea.